BMW has taken the covers off the new Z4 roadster at the Pebble Beach Concours d'Elegance in California. The German brand's two-seater drop-top gives information-starved Toyota Supra fans an idea of the engine and running gear that will lurk beneath the reborn sports coupe's still mysterious exterior. BMW and Toyota collaborated on the development of the sports car duo in a similar process to the current Toyota 86 and Subaru BRZ twins which share identical mechanicals but different body panels. 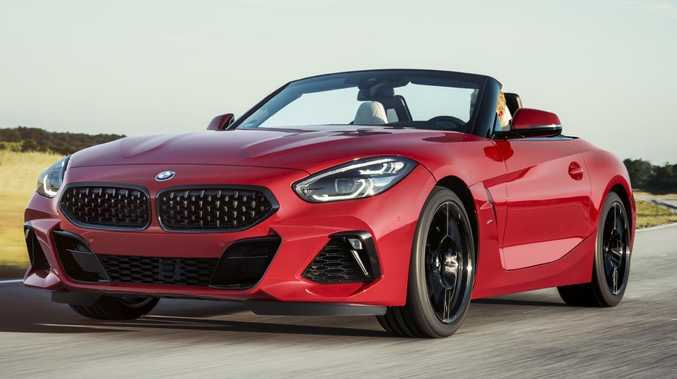 Twin under the skin: 2019 BMW Z4 Roadster’s muscular bodywork cloaks running gear that is shared with the coming cult favourite Toyota Supra. The Z4's inline six-cylinder engine sends 250kW to the rear wheels, producing a claimed 0-100km/h sprint time of 4.6 seconds. BMW has beefed up the Z4's performance credentials by adding sports suspension with electronic damper controls and M Sport braking. The Z4 styling is dominated by a large version of the brand's kidney-shaped grille. Substantial air intake vents and 19-inch alloy wheels emphasise the Z4's sporty intent. Creases in body panels and sharp, angular lines enhance its muscular appearance. Fully digital: The Z4 Roadster‘s leather-trimmed cockpit. Interior highlights include leather upholstery, head-up display and BMW's digital cockpit, augmented by a large infotainment and navigation screen. 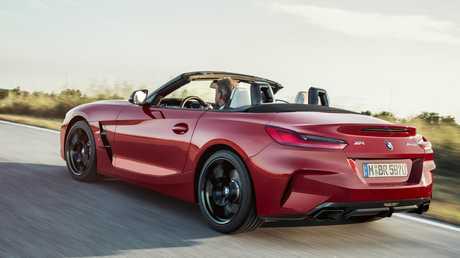 Details of the full Z4 range will be revealed in mid-September just before the car goes on display at the Paris motor show. Toyota has been drip-feeding information about the long-awaited Supra's return via several concept version s but the Japanese brand has provided no firm details on when the cult-favourite sports coupe might be revealed in full. 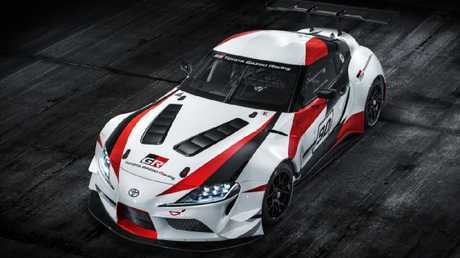 The Toyota Supra GT concept car revealed at the this year’s Geneva motor show. However, sales for the Supra are tipped to start in the middle of 2019 which would indicate a reveal towards the end of 2018 - potentially at the Los Angeles motor show in December.